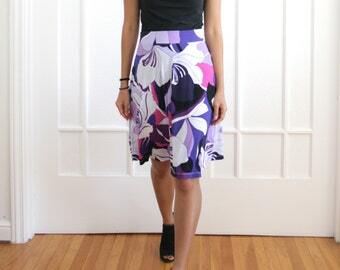 Our flared skirts are upcycled and repurposed out of 100% vintage silk. 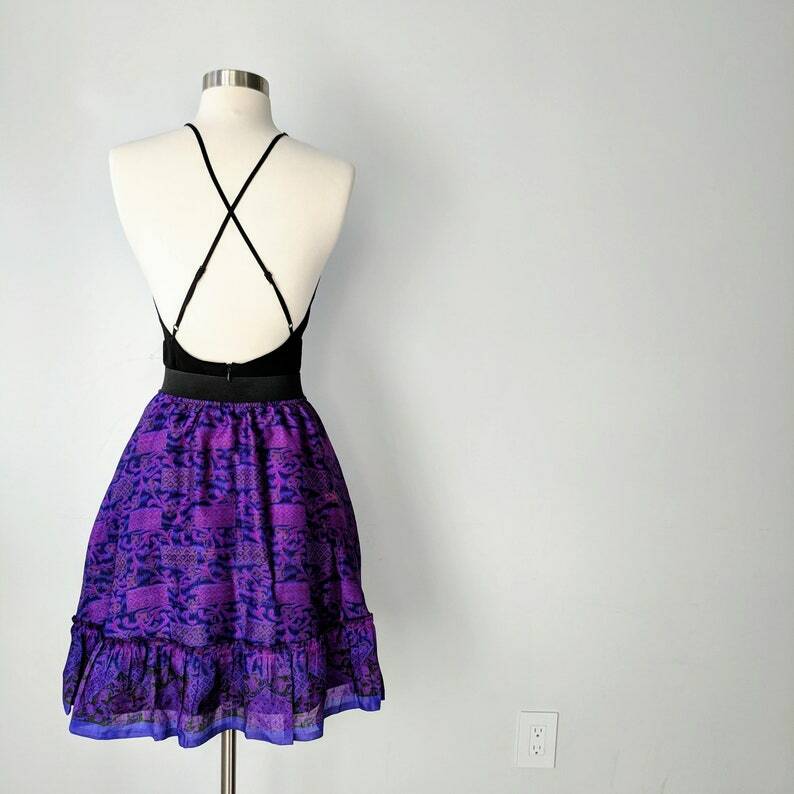 Each skirt is one of a kind and may feature slightly different pattern placements, and/or have slight textural imperfections. 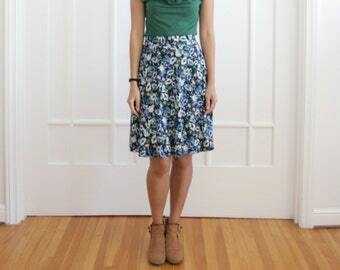 We believe these add to the skirt and give it more character and history. 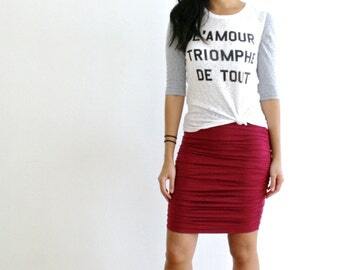 Fashionable, eco conscious clothing for all women.